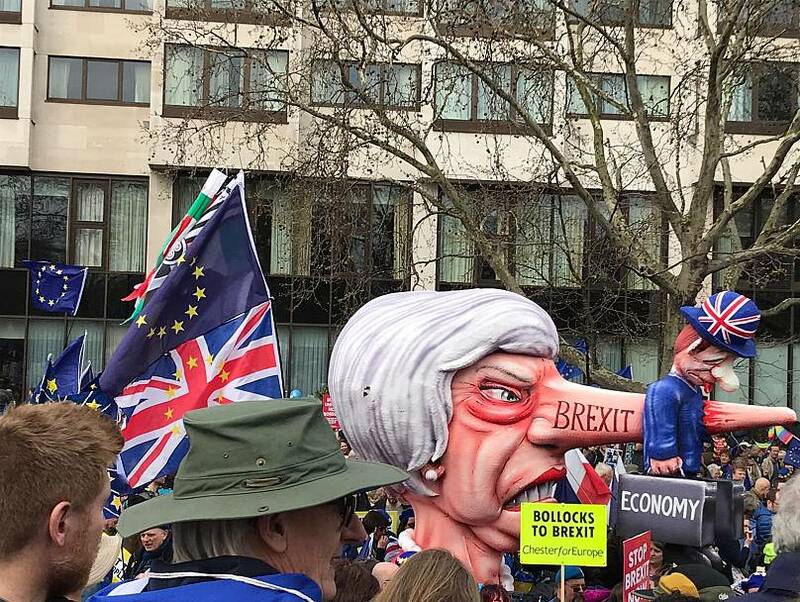 Huge crowds opposed to Britain's current trajectory marched from Marble Arch to outside the UK parliament in Westminster. 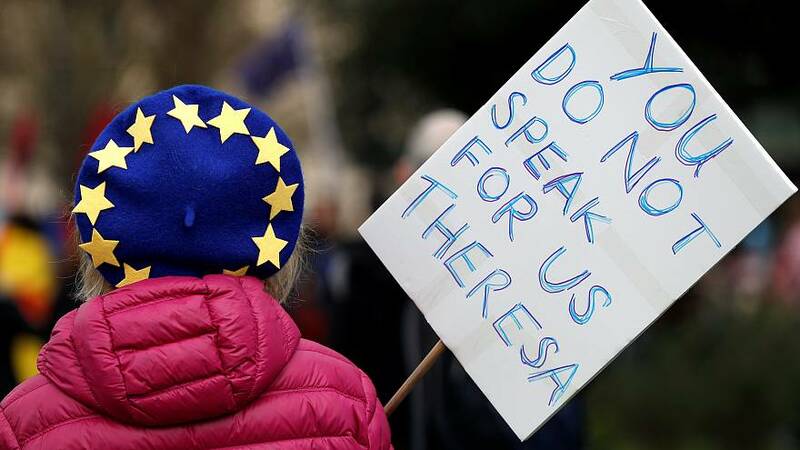 Marchers in the British capital carried European Union flags and placards praising the longstanding relationship between Britain and continental Europe. Joining the protest was First Minister Nicola Sturgeon who says Scotland — which voted overwhelmingly to stay in the EU — has been ignored by the UK government. London's mayor, Sadiq Khan, also participated in the march and has made it clear he supports revoking Article 50 to end this "Brexit disaster". Last Saturday, Brexiteers begun the "March to Leave" from Sunderland to London to stop what they see as "Brexit betrayal". Encouraged by former UKIP leader Nigel Farage, around 200 Brexit supporters began a 270-mile march from Tyne and Wear to the British capital. A week in, the walk is nearing the Midlands city of Nottingham and leavers are expected to arrive in Westminster on Friday, March 29, the original date the UK was meant to leave the EU. The European Union on Thursday extended the original March 29 Brexit deadline after a series of meetings in Brussels with PM May. April 12: the date the UK is set to leave if MPs do not approve the exit deal. The date has been chosen because April 11 is the UK's own legal deadline for taking steps to take part in EU elections. By then, the UK will have had to say what it intends to do: perhaps request a further delay which would mean holding EU elections, or leave the EU without a deal. May 22: the date the UK will leave the EU if parliament approves the deal. This is to allow time for ratification and is the day before voting begins in the European Parliament elections. READ:What's in Theresa May's Brexit deal and why is it so unpopular?